Max of $500,000 on 2nd mortgages. 1. 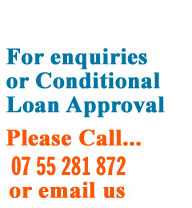 Call 07 55 281 872 to receive a conditional loan approval. 2. Complete our ‘Application for Finance form. 3. Submit our ‘Application for Finance form. Copyright © 2012 Ace Finance. All Rights Reserved Short Term Loans, Mortgage Loans Lender | Ace Finance.